Amanda Parris’ one-woman play 32C is being presented at Alameda Theatre’s De Colores Festival this Thursday, October 23rd. The reading marks the culmination of her one-year playwriting residency where she worked under the guidance and support of dramaturge Stephen Colella to develop the script she began back in 2008 while an artist-in-residence at d’bi young’s anitafrika dub theatre (now called Yemoya). The festival is also the final instalment by Alameda Theatre which will be closing at the end of this season. Alameda Theatre Company produces Canadian theatre with a distinct Latin American perspective. 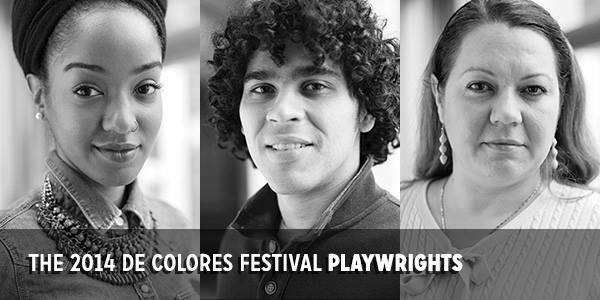 The De Colores Festival of New Works is a playwright’s unit and festival that exclusively features Latin American Canadian writers and exposes Canadian audiences to new theatrical works featuring Latin American actors and directors. 32C is a one-woman play by Amanda Parris that explores the baggage that three generations of women accumulate, carry and unpack through their intimate relationships. The play moves across time, borrowing from settings such as the Salem witch trials, the Grenada Revolution and toonie-Tuesday movie nights at Sheridan Mall in Toronto. The audience is invited to ride on the 32C Eglinton West bus as a triptych of stories reveal the ways masks are constructed, armour is tightened and baggage is carried and passed on.